Event professionals have travelled to Barcelona today for ibtm world, which takes place from 17-19 November at the Fira Gran Via. More than 3,000 exhibitors from 150 different countries will attend the event, which will also see 100 networking events take place. 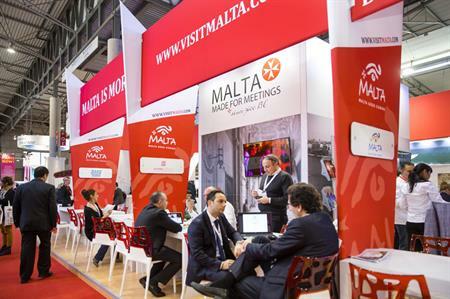 Sponsors for this year’s IBTM World include the Thailand Convention & Exhibition Bureau and Argentina National Institute of Tourism Promotion. Last year 15,500 delegates attended the event over the three-day period, with an increased number of appointments, networking opportunities and a renewed focus on innovation and technology. The 2015 programme includes more than 80 knowledge sessions, which will focus on several key topics such as connection, inspiration and tools for meeting productivity. In addition, more than 50 technology suppliers will showcase their new products and services in the Technology and Services Zone. This dedicated area of the show floor, which has witnessed rapid growth over the past few years, will provide planners with new solutions on how to enhance their meetings and events. If you are attending ibtm world, come to stand J20 to get your copy of the new look magazine and #RediscoverCIT.